Quality service is essential to ensuring the longevity of your Volkswagen, so why have anyone but the best work on your vehicle? At Stevens Creek Volkswagen our team of Volkswagen factory trained and certified service technicians have the industry experience and expertise to handle everything from simple to complicated repairs and maintenance. In addition to Volkswagen, we also work on a variety of automotive makes and models. Come see for yourself why drivers from all over California choose the Stevens Creek Volkswagen Service Department for auto repair and maintenance. Your time is valuable to us and that’s why our team works diligently to get your vehicle fixed and back on the road quickly. Our Volkswagen factory trained and certified service specialists are true experts in their field and can handle any repair or maintenance need your vehicle might have. Most importantly, they get the job done right the first time. In addition, our team works with the best parts and top-of-the-line equipment to complete every repair accurately and in a timely manner. Have a project of your own and simply needs parts and installation? 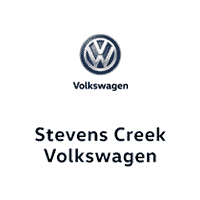 The Stevens Creek Volkswagen Service Department is here to help! You can order parts and installation directly from Stevens Creek Volkswagen at great prices. Contact the team in the Stevens Creek Volkswagen Service Department to get started today! Give us a call at (408) 492-1200 for skilled service technicians in the Bay Area.